Eyes not only look great but they can help to enhance your natural face shape and provide balance to your features. 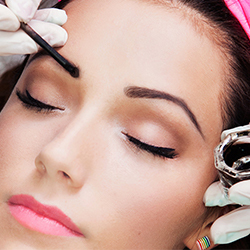 Eyelash and eyebrow tinting involves applying a tint to the lashes/ hairs to dye them. This is particularly beneficial for people who participate in sporting activities (particularly swimming) or for those going on holiday or for anyone who doesn’t want to/ or can’t wear mascara or brow pencil. 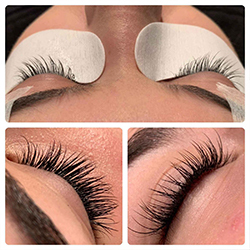 custom selected to suit your eye shape.Extensions come in a variety of different lengths, curls, thicknesses and can be applied to give a natural or a fuller look, whichever you choose there is something to suit clients of all ages. The lashes are professionally applied to ensure no clumps or lumps, creating your desire look. Should you wish to remove these lashes or have a break, please do not attempt to do this at home! We will be happy to safely remove them using a professional solution and a lot of care; your natural lashes will be in perfect condition. Waxing is one of the best ways to get those unruly brows back into shape. Our therapists are highly trained to create the perfect look for your eye shape. Eyelash and eyebrow tinting involves applying a tint to the lashes/ brows to dye them. This is particularly beneficial for people who participate in sporting activities (particularly swimming) or for those going on holiday or for anyone who doesn’t want to/ or can’t wear mascara or brow pencil. If this is your first visit to you will require a patch test at least 48 hours before your treatment. 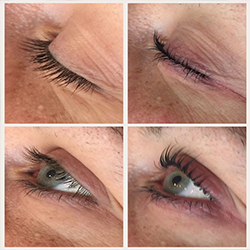 To ensure your safety we will not perform any lash treatment without a patch test, even if you have had this treatment in another salon. 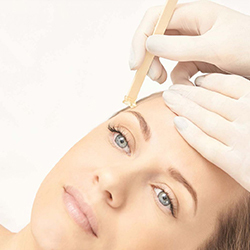 It is important you come to your eye treatment appointment without any eye make up on to ensure best results.